Download Driver Reviver and get a free driver scan with a status report. Driver Reviver searches for old and wrong drivers on your computer. When found the program can download the most recent, correct drivers for each of your hardware units. This will leave you with a computer that has all the correct drivers installed. The effect of this is a computer that performs much better than without. 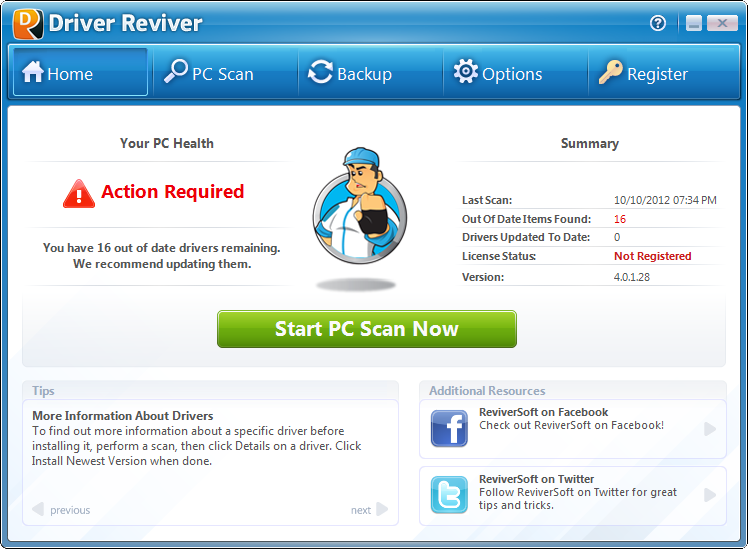 Find Driver Reviver, mark it and choose "Uninstall"
Should Driver Reviver has been damaged or corrupted and thereby difficult to remove we can recommend you finding help to uninstall it here.